I thought this was pretty funny and wanted to share. A friend sent it to me. 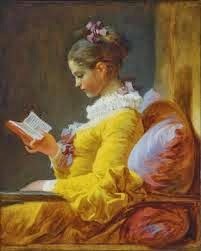 "For reading a book," she replies. It's likely she can also think. Ooooooo..this looks like such fun. 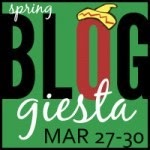 I never knew about the Bloggiesta until today. TRY to make a moving avatar through MegaPhoto - if anyone knows how to do it, please HELP me. Learn how to put Disqus comments on my blog - can anyone help?? That's all for now, but I am excited to be participating. We are so very sad about dad. He was a wonderful, talented man and a terrific father. OCCUPATION: He owned and operated Ralph’s Cabinet Shop in New Kensington from 1952 to 1967. He then took up work with P.W. Campbell Contracting as Superintendent until retiring in 1985 due to illness. 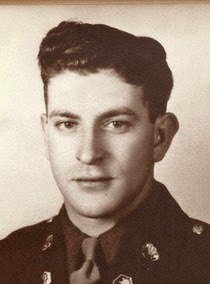 Mr. Coscarelli served in the Army during WWll from June 1943 to March, 1946 in the Chemical War Service attatched to the 87th. Division of General Patton’s 3rd. Army, serving in the European Theater of Operations. He was a member of 7th. St. Sportsmans Club, New Kensington, Lower Burrell Veterans of Foreign Wars, and New Kensington American Legion. His enjoyment was hunting, fishing and repairing old antique furniture, and spending time with his family. SURVIVORS: Wife, Mary Jane (Greco) Coscarelli of 67 years, New Kensington, 4 Sons, Ralph (Ruth Ann) Coscarelli Jr., Natrona Heights, Daniel Frank (Diane) Coscarelli, New Kensington, Michael (Valarie) Coscarelli, Cranberry Twp. and Frank (Carol) Coscarelli, Lower Burrell, 4 Daughters, Kathleen (Edward) Wall, MD, Elizabeth (Andrew) Petrovich, Lower Burrell, Jane (Daren) Kissenger, MD, and Claire (Brian) Hall, MD, 15 Grandchildren and 3 Great-grandchildren. Also surviving him is a Sister, Joan Henry, Fla. and many nieces and nephews. Anahita and Princess Indira became inseparable after Indira wanted Anahita to live with her family at the palace. THE MIDNIGHT ROSE tells their marvelous, admirable story. How lucky could a girl get? Moving from a small village to a palace to be friends with a Princess. Was it lucky forever? THE MIDNIGHT ROSE moves from present day back to a diary that Anahita kept of her life in India as well as her life in England. You will feel badly for Anahita and feel her shame and pain. Indira is a character that you want to dislike at times because of her selfishness but can't. Donald will make you mad as well as feel sorry for. THE MIDNIGHT ROSE is different from Ms. Riley's other books, but equally as good. It took a few pages to get into the gist of it, but once England meets up with India and the story of Anahita’s life is revealed, THE MIDNIGHT ROSE will have you quickly turning the pages to see what happens next. The secrets rolled off the pages and made THE MIDNIGHT ROSE a book you won't want to put down. THE MIDNIGHT ROSE allows these secrets to be revealed through Anahita's diary. Diaries and digging into family history is one of my favorite things to read about. The reader will be transported back and forth from present day to life in an English household in the 1920's and then back to India. THE MIDNIGHT ROSE also allows you see the inner workings of the lifestyle of a wealthy English household along with a beautiful love story. The descriptions of India's beautiful landscape and the lifestyle of its residents was amazing and takes you to India’s abject poverty as well as the oozing wealth. We Interrupt This Winter for A Summer Beach Break Event With Prizes! As always, another fun event hosted by Sheila from Book Journey. 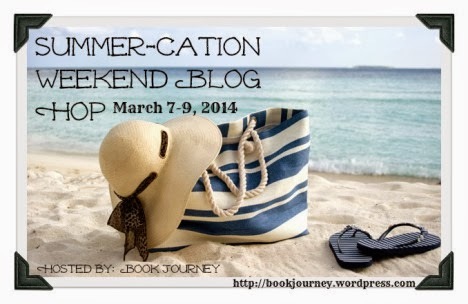 Join Silver's Reviews as well as other bloggers for a Summer Giveaway to CHASE this snowy, very cold winter away. I am ready for beach weather, how about you? CONGRATS, and thanks to everyone who entered. I am giving away a used, paperback copy of Elin Hilderbrand's book, SILVER GIRL. I read the book back in 2011. Best of luck in the contest on my blog, and have fun visiting the other blogs for a chance to win their "Chase Away Winter" Giveaway.